Fireplaces have long been a staple in residential homes because of the aesthetic and practical benefits that they provide. Especially in northern parts of the country where the winter months can be incredibly harsh, fireplaces in a home can be just as common as a garage or as a swimming pool in warmer climates. Commercial spaces and businesses can also benefit from having a custom-made fireplace in their space in more ways than one. 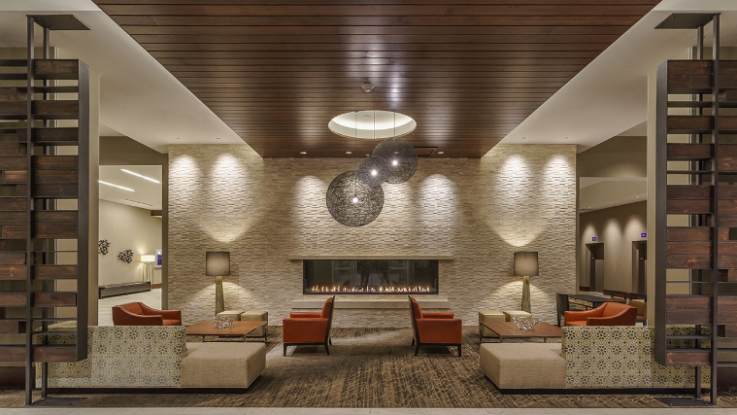 From cost-savings to new opportunities to engage with customers, here are some of the top reasons you should consider adding a fireplace or fire feature to your commercial space. For one, the fire has long been the natural gathering point for people for thousands of years. It's where our ancient ancestors gathered for warmth and to prepare a meal. Now, a fireplace is a place to get warm during colder winter months, and research shows that people are naturally drawn to it. With a wood burning fireplace in your business space, you have an area designed to draw guests in, meaning they could inevitably stay longer, providing more opportunities to converse and sell your products. Whatever you specialize in, a fireplace can serve as the focal point or just a gathering space in your business holding your customers’ attention. Some people assume that every fireplace is the same, they all look the same, and they all function the same—but this is not the case. Fireplaces can be the focal point for homes and commercial spaces thanks to innovative designs and artistic input. The options are practically endless with different styles, sizes, and materials available—especially if you choose to work with a custom fireplace manufacturer that can design a fireplace unique to your business and vision from the ground up. Whether you envision a cozy, traditional fireplace with a classic mantel or an innovative see through fireplace that provides warmth and connects two rooms, it’s important to partner with an experienced custom fireplace manufacturer to get the job done. Another benefit of a fireplace in your business is in energy savings. You're probably well aware of the spike in electric rates during the winter. Depending on how big your business is, it seems you can spend an exorbitant amount of money a month just to keep the space above 60 degrees. Even if you don't go full-on fireplace-based heating, just having one in the corner of your space could do wonders to supplement your heating system. Have two rooms that always get a little too cold? Consider connecting them with an efficient see through fireplace that will add both form and function to your commercial space. People love standing next to a fire, and with a well-designed fireplace in your business, your customers will feel more at home in your store. This added comfort could make your business more attractive to customers, and they could choose to return rather than venturing into a competitor’s business hosting a dreary atmosphere. Fireplaces can be the centerpiece of any room with the right innovative and sophisticated design. 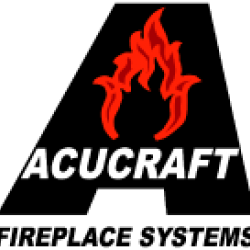 Acucraft Fireplaces specializes in designing and building a variety of different fireplaces including the classic wood burning fireplace and a variety of see through fireplace models along with a cozy outdoor gas fire pit. Every fire feature they build starts from the ground up, so homeowners and commercial builders can design a fireplace that perfectly complements their existing design plans.